You’ve cast your votes, now it’s time for Christopher and Eric to present the winners. Who will go home with a trophy and who will just get forked? 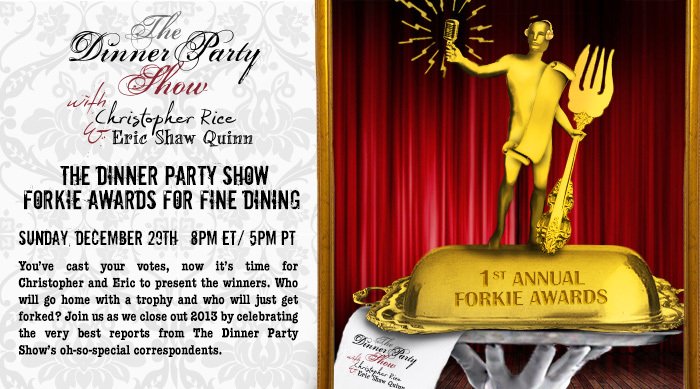 Join us as we close out 2013 by celebrating the very best reports from The Dinner Party Show’s oh-so-special correspondents.